Karen Muchow provided this information on last week’s “Who are these folks” photo. The photo is of Mrs. Gasley’s Sunday School class at Alden Presbyterian Church, probably dated around 1900. 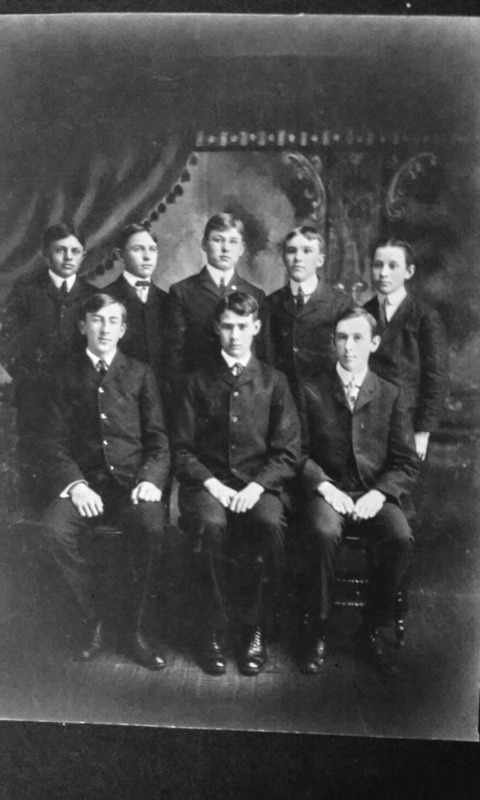 Front row: Herbert Swain, Garnet Roberts, Leon Farnsworth Back row: Christian Simme, Ralph Stowell, Adam Groff, Martin Berg, James McDowell.